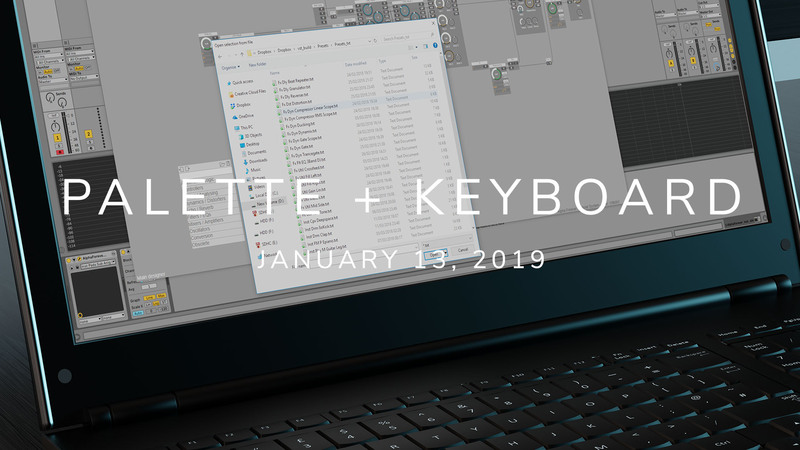 In the current development build we updated the palette, added the ability to save/load designers, added a new keyboard message, fixed compatibility with VST hosts, and fixed some other issues. // You can load patches / save your selected nodes as files on your drive without using any external software. - Right clicking wont erase your clipboard anymore. - More events are saved in the undo history now. This makes undoing more intuitive. - Keyboard messages, such as copy / paste should work without the need of external windows or bridgeing in every DAW. - Now you can use CTRL + X to cut the selection. - The palette received a new row, which includes 4 icons at this phase of the development: copy / paste / load designer / save selection.